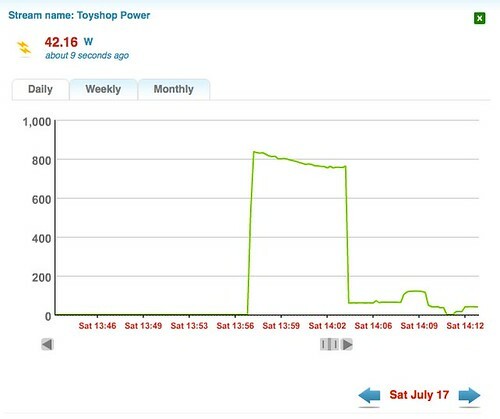 We received our power bill the other day, the price went up form 18c to 22c per kWh. With a new child, and a quite chilly winter (so far...) the good news is our energy use is on par with the same time last year. A likely benefit of knowing jsut how many electrons we use at any time of the day. But I think we can do better, so the process has started to geek out our home with more energy efficient stuff. This is what I did today. My Toyshop, my office and a place where I spend a considerable amount of time, has fantastic lighting with 8 fluro tubes beaming down the photons. This light is awesome when working on fiddly bits of toy planes, though it comes at a cost of around 95watts a tube, adding up to 780 watts of lighting running at full pelt. It's not every day I need this much light, and most of the time I have have 6 of the 8 tubes powered down, sometimes I run on a single tube only. Though the light is dim, and it's very white color, and feels cool. 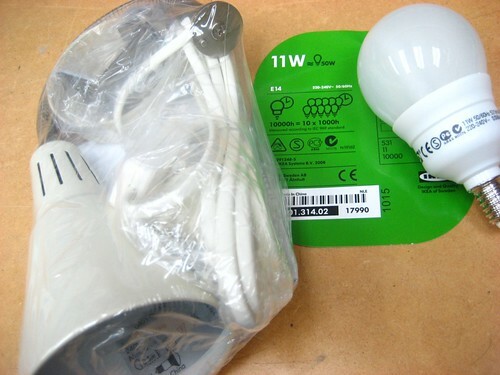 At a visit to Ikea this morning, I selected myself some new energy efficient lights. Enough to provide just the basics, so I can shave even more electrons whilst performing my various activities. 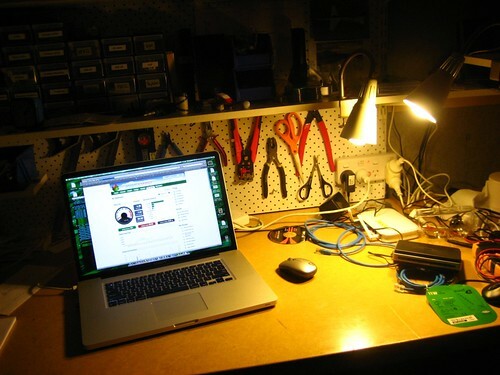 Two 11 watt energy efficient desk lamps, and the result is quite a cosy otagean workshop. The big square in the middle is the shop running the full power fluro lights, from the time on chart it took 10 minutes to unpack, assemble and commission the new lights. 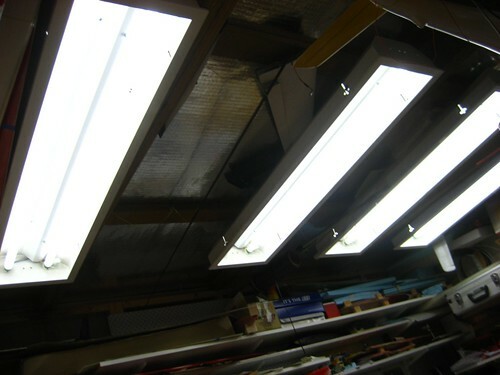 What's interesting is the lamps are billed as 11 watts, however I record 42 watts with both running, which measures out at 20 watts each, higher than the labels yet better than the rooftop fluro tubes. and at that rate I can operate for 19 hours at the low energy configuration for every hour at the high photon equivalent. For the win.